Mixcloud 3rd Bday Style Update – The global community for audio culture. 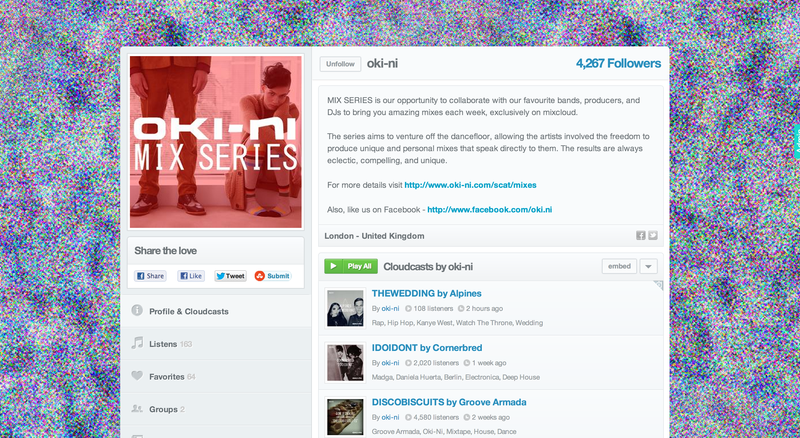 We’re excited to announce a big face lift for Mixcloud.com going live today. We are celebrating the site’s 3rd birthday this week, and the product team has been hard a work over the summer to enhance the user experience and layout design. The focus has been on updating the look and feel of the platform, and making all the pages consistent. This style refresh is also a consolidation move, allowing us to lay the ground work for fast release cycles and a more unified experience going forward on both the main site and mobile apps. looks awesome guys !! But please make better embed players! Keep it up guys, loving it all! Awesome, but please update the Disqus comment system to the latest design. Thanks that is a really good update. ficou melhor o novo visual. we need an app for Windows Phone 7, please! I enjoy the design, only 1 major gripe, is that when I resize my window to the right of my screen (to listen while I work) The player play/pause button (whilst playing) is lost off the user view and cannot be accessed by my cursor. It means to pause to listen to my co workers moan I have to resize my window. Having the player automatically float from the left would be great, provided it doesn’t break other components.